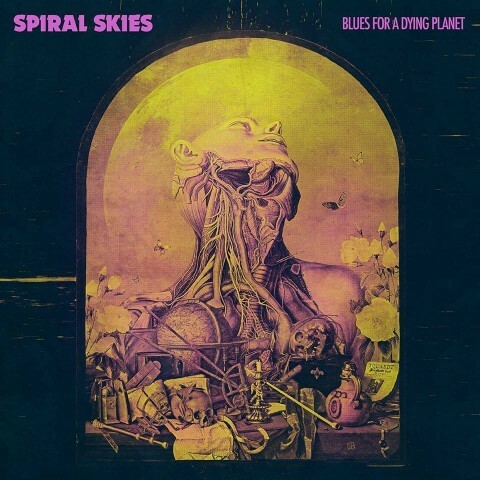 The Swedish rock quintet Spiral Skies has released their debut album, "Blues For A Dying Planet", today, on May 18, via AOP Records (Harakiri for the Sky, Anomalie). According to the description, the style of Spiral Skies is a unique blend of folk, doom and 70’s inspired rock music. 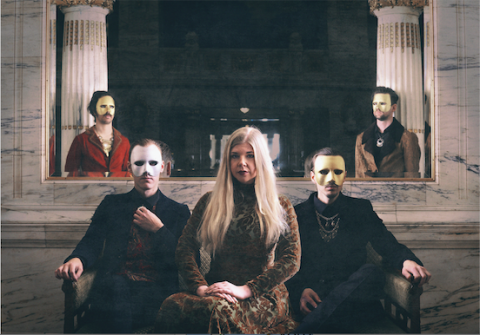 The band has been compared to bands such as Jefferson Airplane, Curved Air, and The Devil's Blood, to name a few. "Blues For A Dying Planet" was recorded and mixed by Eric Sandberg at Studio Radioskugga, Stockholm, in 2017, and mastered by Marco at Analogcut Mastering, Berlin, in 2018. In addition to Spiral Skies’ musicians, Andreas Sandberg (synthesizer), Rickard Uttermalm (choir, organ), and Asser Hakkala (choir) have also participated in the recording. "Blues For A Dying Planet" is now available digitally and on CD and vinyl from AOP Records via distribution from Plastichead (Europe, USA, World) and Edel (Germany, Austria, Switzerland). "Blues For A Dying Planet" cover: artwork Illustration by Vadim Karasyov, cover and booklet are designed by Atmanoid, cover photo by Björn Pettersson.